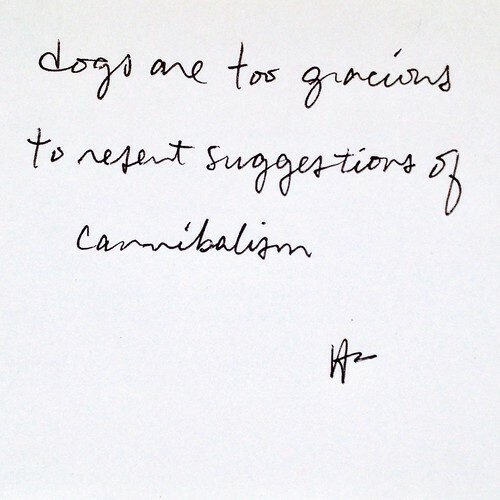 For starters, they know eating other dogs is not cool. No matter how many times the phrase “Dog eat dog” gets repeated, cannibalism has never been typical dog behavior. How the phrase came to be so popular is an excellent example of whispering down the lane. It started as a maxim meaning the exact opposite, but got twisted over time. Another thing dogs understand is that the most successful achievers are rarely, maybe never, self-made. Take African Wild Dogs, which travel in packs and are known as one of nature’s most effective hunting parties. Their average kill rate of 80% puts the “King” of the jungle to shame — the proud lion succeeds about 30% of the time. A pack of these canines is more than just a gaggle of wild animals. They are an organized team, with discipline and coordination worthy of a special forces unit. Their fierce approach to prey is matched by their charitable and compassionate code of conduct toward each other. They don’t let the weakest among them starve. In fact, the young, the old and the infirm are given preferential treatment — even though they are what some might call “dead weight.” The strongest in the pack don’t resent the weakest for getting what they didn’t earn. The bond they all share, regardless of contribution or status, is more humane than most humans are toward each other. Because even the Alphas know they won’t always be running, or capable of running, the show. I just thought this was a fascinating reminder that social structures like family and community can be the biggest advantages we have, no matter how talented any one of us are.